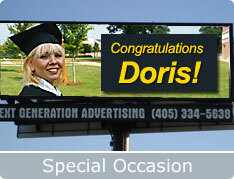 Celebrate anniversaries, graduations, or any other occasion in a big and bold style. New price, location, or product? 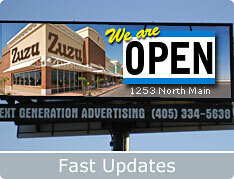 Last minute updates and new information are not a problem with digital billboards. 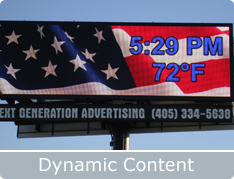 Deliver real-time information in your ads. Weather, time, interest rates, and more are at your disposal.